A Chalazion is a swelling of one of the oil producing glands (meibomian gland) of the eyelid. It is a Greek word for a small lump. A chalazion can often be confused with a stye, which also appears as a lump in the eyelid. A stye is an infection of the lash follicle, a chalazion is an inflammatory reaction to trapped oil secretions. When a chalazion is small, it may disappear on its own. 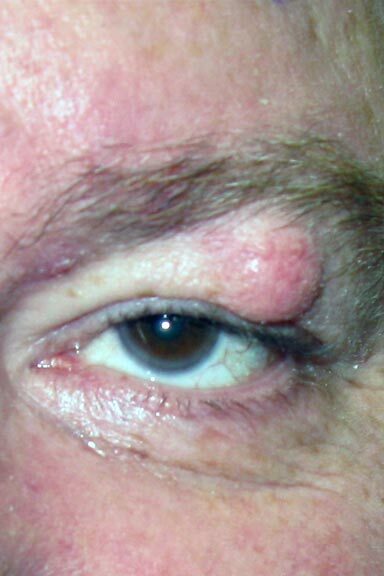 If it is large, it can cause blurred vision, discomfort and in some cases can cause the entire eyelid to swell suddenly (preseptal cellulitis), which needs to be treated with antibiotics. 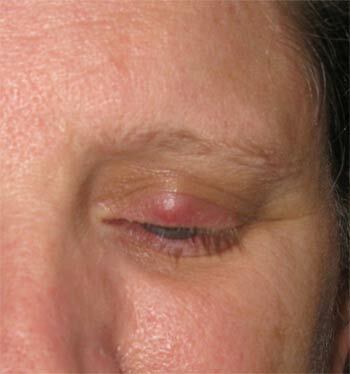 Occasionally if a chalazion has been present for a long time, it can cause a thickening within the structure of the eyelid, which can be difficult to treat. How can a chalazion be treated? Soak the eyelids for 10 minutes with a hot washcloth or wrap a boiled egg /new potato in a wet washcloth (as it will maintain the heat for a long time). Be careful not to burn your skin ! The steroid injection can work well if the chalazion is fresh and can be performed with topical anesthesia in the clinic. The aim of surgical correction is to incise and drain the lump. It is a simple 10 minute procedure, often performed under a local anesthetic. What are the potential risks & complication of various treatments? Risks from steroid injections are rare and include <1% chance of skin hypo pigmentation. Vision loss has been reported, but it is extremely rare. Minor bruising or swelling, which settles in 1-2 weeks can be expected. Bleeding and infection which are potential risks with any surgery are very uncommon. Rarely the chalazion can recur. A xanthelasma or cholesterol deposit, is a soft yellowish subcutaneous plaque within the skin of the eyelid. They are often associated with Hyperlipidemia (50 %), familial hypercholesterolemia (75%), with primary biliary cirrhosis (10%), but can also be seen in menopausal, diabetic and in normo cholesterolemic patients. Some studies have shown an increased risk of coronary heart disease. Minor bruising or swelling, which settles in 1-2 weeks can be expected. Bleeding and infection which are potential risks with any surgery, are very uncommon. Visible scarring, hypo pigmentation (particularly in darker skinned individuals) and recurrence of the xanthelasma, can occur. How can a xanthelasma be treated? 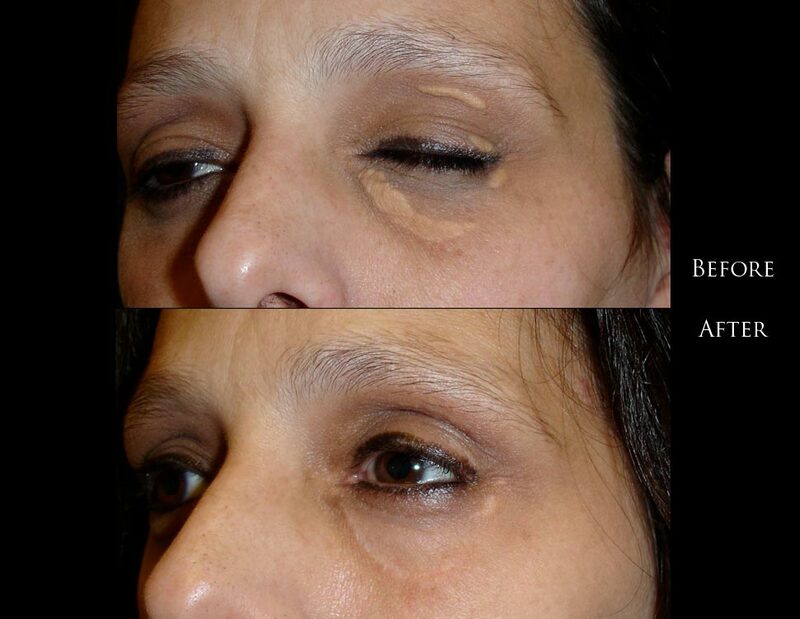 The xanthelasma can be ablated with argon lasers or TCA peels. This is very useful in treating xanthelasma around the inner corner of the eye or where there is a lack of skin. The aim of surgical correction is to excise the lesions. It can range from a simple 30 minute procedure, to a more complex procedure 90 minute procedure, which involves sliding in a flap of normal skin, generally performed under a local anesthetic. What is a papilloma /Seborrhoeic keratoses? An eyelid papilloma is any lesion on the eyelid that is smooth, rounded, or has a pedunculated elevation, probably caused by a virus and are essentially warts on the skin. The lesion that most commonly fits this description is a benign squamous papilloma. A seborrhoeic keratoses is also called a “senile wart”, but does not have a viral origin. However, it is possible that other benign eyelid lesions may take on the same appearance, as well as malignant skin lesions, especially squamous cell carcinoma (papilloma) and melanoma (pigmented seborrhoeic keratoses). How can a papilloma / seborrhoeic keratoses be treated? The aim of surgical correction is to excise the lump. It is generally a simple 10 -30 minute procedure, performed under a local anesthetic. Minor bruising or swelling, which settles in 1 week can be expected. Bleeding and infection which are potential risks with any surgery are very uncommon. Visible scarring and recurrence of the papillomas can occur. What is an eyelid cyst? There are various cysts that can arise around the eye. Common ones include sebaceous cysts (as with any other part of the body), cysts of Moll (benign, non-tender translucent lesions arising from the apocrine sweat glands) and cysts of Zeiss (similar to cysts of Moll but containing oily secretions). However, it is possible that other malignant eyelid skin lesions may take on the same appearance, , especially basal cell carcinoma. How can a cyst be treated? The aim of surgical correction is to excise the lump. It is generally a simple 10 minute procedure, performed under a local anesthetic. Minor bruising or swelling, which settles in 1 week can be expected. Bleeding and infection which are potential risks with any surgery are very uncommon. Visible scarring and recurrence of the cysts can occur. 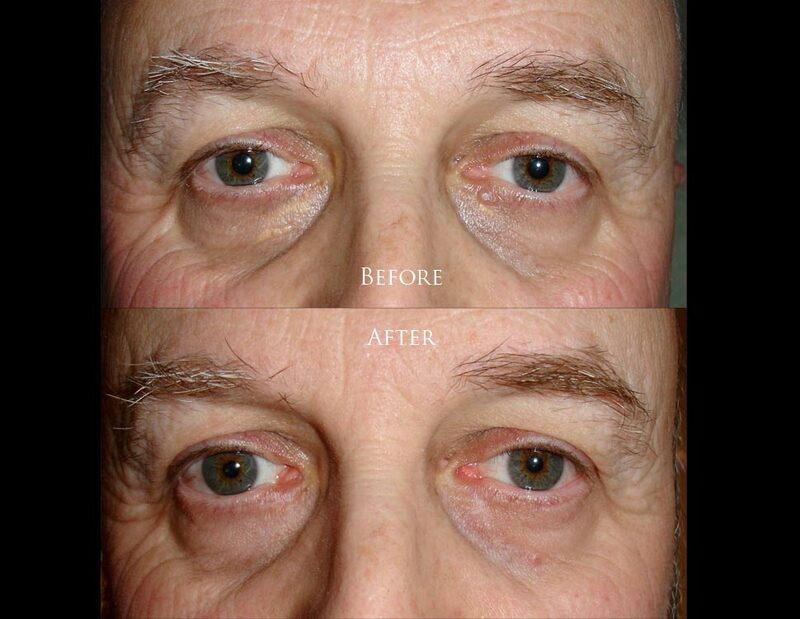 Xanthelasma surgery before and after pictures. Disclaimer: Your results may vary. Any specific claims or permanence length of results vary for each patient and are not guaranteed.